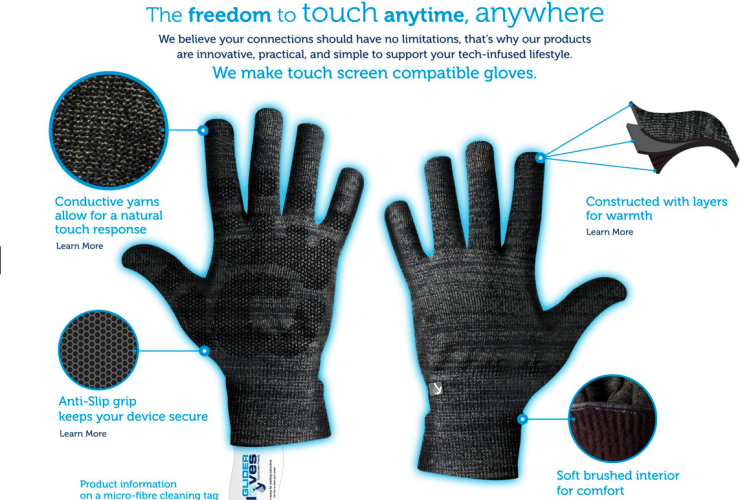 Glider Gloves Are Entire-Hand TouchScreen Gloves | OhGizmo! By David Ponce on 01/29/14 • Leave a comment! 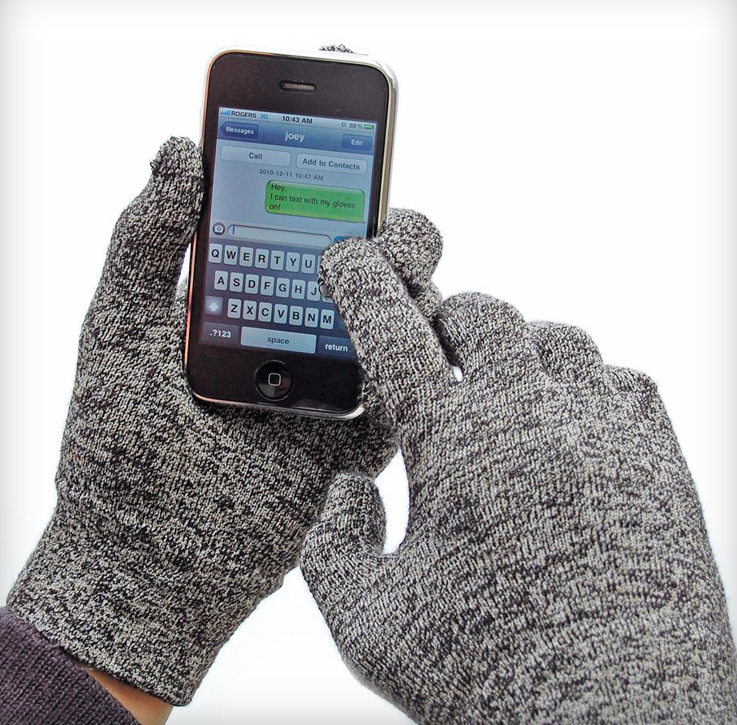 Winter is in full swing, but your obsession with your smartphone doesn’t take the cold months off. Waiting for the bus in the middle of a blizzard? No matter, you have to whip that phone out and check out who liked that picture you took of your breakfast half an hour ago. Better get the Glider Gloves. Unlike some other touch-enabled gloves on the market that feature conductive tips on some of the fingers, the entire glove (and all ten digits) can be used to press things on capacitive touch screens. They come in various sizes and colours, and prices start around $20.